Both globally and domestically economic indicators suggest weakness. Domestic industrial output for October declined by 0.4% compared with a year earlier, the first decline in 13 years. However, to some extent it was discounted because investors have by now become used to negative numbers being released virtually every week by different agencies. Initially, the market declined on Friday, but bounced back sharply to close in the black on a perception that probably this was the worst for now; with recent economic measures taken by the government and more expected in the near future, the situation is likely to improve in the weeks and months to come. Inflation, as expected, fell and is likely to decline further. Globally, there seems to be bad news in the works as the quarterly reporting season would begin with Goldman Sachs Group Inc. and Morgan Stanley this week, with both expected to report heavy losses. The US auto industry’s survival also hangs in the balance after a package that sought to avert a possible bankruptcy of one or more of the big three auto makers collapsed in the US Senate on Thursday. Back home, there is not much lined up economically, but technically this is going to be yet another important week. Though it would sound paradoxical given the global backdrop, my technical studies clearly suggest the rally would continue at least in the initial part of the week and my targets of last week are still intact. However, taking into consideration the market movement of last week, the targets are now being revised slightly upward. In the case of the Bombay Stock Exchange’s benchmark index, the Sensex, the first resistance is likely to come at 9,768 points and there is a 90% probability that this resistance would be broken. Following this, the next important resistance level is expected at 9,937 points, which is likely to pose some hurdles to a rising Sensex; however, if it closes above this level the gains would extend beyond 10,000 points and the index would test its next resistance level at 10,076. This is likely to be a strong resistance level. However, readers must note that despite this level being the likely termination point of the current rally, which started off last week, the momentum might have enough steam left to push the Sensex up to 10,196 points. 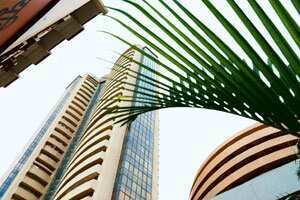 On its way down, the Sensex is likely to test its first support at 9,430 points, followed by the next at 9,314. The first support, despite being important from the market sentiment point of view, would be a moderate level. However, the second support level would be critical. A clear fall below this level would be a negative signal for the market with the undertone turning bearish. For short-term traders, a breach of this level would be an indicator of a bearish trend with the next support coming at 9,036 points and rock-solid support coming at 8,801 points. For the S&P CNX Nifty, on its way up, there is a critical resistance at 2,935 points, which would trigger the next leg of the rally that started last week. If the Nifty crosses this level with high volumes, there is a 90% chance that the gains would extend further with the next meaningful resistance coming at 3,008 points. This resistance would be important and would put some hurdles for a rising Nifty. If the index crosses this, it would then hit 3,046 points, which would be a critical resistance level and might be the termination point of the rally. On its way down, the Nifty is likely to test its first support at 2,860 points—an important but moderate support level. If it goes below this, the next support level would come at 2,816 points. Any further fall from this point might see the Nifty testing a low of 2,703 points in the short term. Anything beyond this level would be very bearish. Readers must note that the rally termination points mentioned above are only for reference given the current situation. If there is a substantial change in sentiment or the momentum picks up on aggressive foreign fund buying, these levels might be extended. It would be best to consider the termination levels in the prevailing circumstances. Among individual stocks, this week Kotak Mahindra Bank Ltd, Sterlite Industries (India) Ltd and Titan Industries Ltd look good on the charts. Kotak Mahindra Bank at its last close of Rs372 has its first target at Rs389 and second target at Rs402; Sterlite Industries at its last close of Rs292.65 has a target of Rs305 and a stop-loss of Rs268. Titan Industries at its last close of Rs872.70 has a target of Rs896 and a stop-loss of Rs842. From the previous week’s recommendations, Maruti Suzuki India Ltd touched a high of Rs528, which was well above its target of Rs505. Shree Renuka Sugars Ltd hit a high of Rs63.20, gaining 24.16% during the week. Needless to say, the stock comfortably met its target, which was 14% above its previous week’s closing price. Punjab National Bank touched a high of Rs475 and met its target of Rs464 easily.